This week on the 5 Leadership Questions podcast we are highlighting several of the speakers from our upcoming Pipeline Conference. We are excited about this event and all the leadership wisdom and practical advice that will be shared there, and we want you to share in some of that. The early bird registration discount ends July 31, and if you listen closely to the podcast you’ll hear a special offer to give you an even deeper discount. So listen in, get that discount code, and go to MyLeadershipPipeline.com to register you and your leadership team. In this episode of the 5 Leadership Questions podcast Todd Adkins and Barnabas Piper talk with Paul Tripp, a pastor, teacher, author, and counselor. 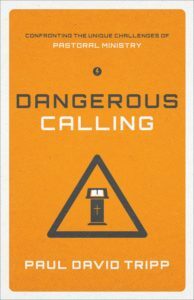 Tripp is a “pastor of pastors” and his book Dangerous Calling is both a challenging and encouraging resource for those in ministry. In this conversation you will hear much about grace and about living the gospel, both themes of Tripp’s ministry.